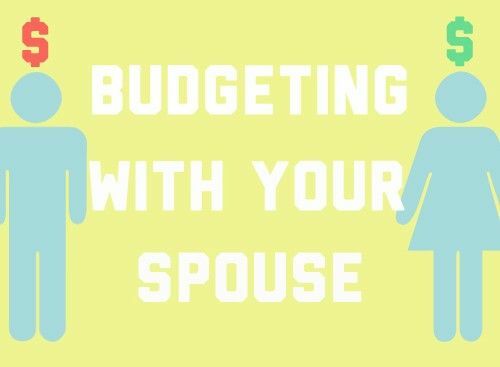 Throughout our marriage, we’ve always enjoyed finding out how our take on finances is similar to other couples (“You read Dave Ramsey, too?”). And it’s especially fun to hear how we differ as well (“You each spend how much on shoes each month?!”). But one area where we’ve been consistently surprised is how different couples handle their bank accounts. When Johnny and I got married, we closed our individual bank accounts and opened a joint checking account. It just seemed like the obvious choice to us. But many couples we know feel just the opposite. Their bank accounts are separate, and the expenses each spouse covers are separate. And if you ever watch The Suze Orman Show as a couple like we do (so romantic! ), then you know that Suze often recommends separate accounts to couples. All of our revenue goes to one account. Whether my paycheck or Johnny’s, it all ends up in the same place. If we make freelance money or if we sell something on Craigslist, it goes to that account as well. And although we have separate credit cards, when we pay off those cards each month, the money comes from our joint account. It’s much easier for us to see exactly how much money we’re making and where that money is going by having it in one place. Although we each make our separate incomes, Johnny and I think of our incomes as one total income. Technically, Johnny makes much more than I do, but my spending allowance is just the same as his (lucky me!). There is no my money or his money — only our money. This mindset works for us because we feel better equipped to handle our financial future as a unified force rather than as two individuals. Johnny and I know exactly how much the other person spends and on what. Because it’s all our money, our spending decisions are never made without the consent of the other person. I’ve heard many a married person say semi-jokingly about an expense, “I buy that from my account. It’s best that he/she doesn’t know how much it costs!” While that mentality works for some couples, and while it might help to prevent arguments, we prefer complete transparency. While some spending secrecy is harmless (like Christmas presents), we’ve seen our fair share of marriages encounter unnecessary bumps in the road because of it. It would also be harder for us to stick closely to a budget if we didn’t know about each other’s total spending habits. Obviously, there are some other considerations. We married young, so neither of us had all that much financial baggage that we brought to the marriage — mortgages, debt, etc. If either of us had had significant financial baggage, closing our individual accounts and pooling all our money and assets into one would have been a tougher decision. How do you feel about joint accounts as a married couple? One thing we love about personal finances is finding out how financially-savvy couples do their finances differently from us, so please share! We’re pretty much the same way – the only accounts that we have that aren’t jointly owned are our IRAs and 401Ks, which the US government doesn’t let us combine. It sounds corny, but for us, it’s about being on the same team, Team “PoP”. And good teams work out of shared playbooks, which is how we view sharing the accounts. We’re in the same boat as far as retirement/investment accounts. And even if government did allow us to combine, since money only goes in and not out of those accounts, we’d probably let them slide. Until I found out Joanna was running a money laundering operation from her meth dealing. Totally on the same page with you guys about this!.. It builds trust in a relationship and forces you to make financial decisions together. Very well said..
We are joint also. It works bets for us and has never once been a problem. We also opened a joint bank account after we got married. It has definitely simplified things and as you said, it adds transparency. While we still have individual credit cards, the joint bank account has been a no-brainer for us and has so far worked out really well. We have two credit cards where I’m the primary and she has a card on the account. Then we each have our own individual credit cards, but just like all of our other accounts, they’re added to our Mint account, so it’s everything is visible there. No sneaky purchases in this house. The bulk of our paychecks goes into a joint account for joint expenses. We keep the other part and use as we see fit (this includes paying for gas in our individual cars). The system works well because I can’t get mad at her when she spends her money on more clothes and she can’t get mad at me when I buy another hurley (for the Irish Sport of Hurling… Youtube it, seriously it is an insane sport. channel gaelicgames2012 is pretty good). I also tend to be an over saver so that works out for her too since I put a lot into “our” taxable account. We have considered moving towards joint, but I don’t know if I feel right that she should pay my student loan when she paid hers of her own. The major push for this has been the baby and just one less account to worry about. I do like the aspect of not being able to judge the other spouse’s personal spending. I, admittedly, need to do a much better job of this. Also, I just spent twenty minutes watching a hurling match from the YouTube channel you recommended. Nuts! I don’t know how I’ve never heard of that sport before. Ireland’s PR department needs to get on their game. we have a general expenses joint chequing account. we each have a personal small savings account – for personal small discretionary spending. we also have a joint savings account, containing our non registered mutual fund and cash investments. we each have registered rrsp and tfsa tax free interest accounts – for retirement savings purposes. when we used to have a mortgage, it was in listed both our names – for creditor protection purposes. We have a small budgeted amount for personal discretionary spending each month, but it’s still taken from our joint checking. We’re both pretty awful with judging the other’s purchases (me: her nail and hair products, her: my LP records), so it might not be a terrible idea to just create two accounts with our bank that has our budgeted personal money auto-transfered in every month. We’ll see. My wife and I feel that it’s a good idea to have our own personal small discretionary spending accounts which we each control on our own. This way we aren’t questioning each other’s monthly spending habits. So, if on the (“rare” – lol) occasion, one of us should just so happen to get carried away and totally spend one’s monthly discretionary savings “allowance” then – tough noogies !!! – it’s wait until the following month for the next $ injection. I’m not married. Or in a relationship that merits any sharing of the finances. I’ve always thought it was smart to have separate accounts until recently. I like the “same team” mentality though. If you can’t share your finances what can you share? Your final sentence/question was part of our initial motivation. I guess it could also be argued that couples should trust one another, so maybe Joanna and I are just consistently suspicious of each other. The lady and I have a joint checking account, but we also have our own individual accounts. I had a lot of debt and didn’t want my wife to deal with it, so I kept my personal account. This is what works for us. We trust each other fully and as long as the joint account is funded, then I don’t care and neither does she. This is simple for us and what works for us. It’s all about what works. And as Joanna mentioned in the post, bringing debt or prior marriages/mortgages, etc. into a relationship might mean separate accounts make more sense. The key ingredient is trust. We’re the same exact way. 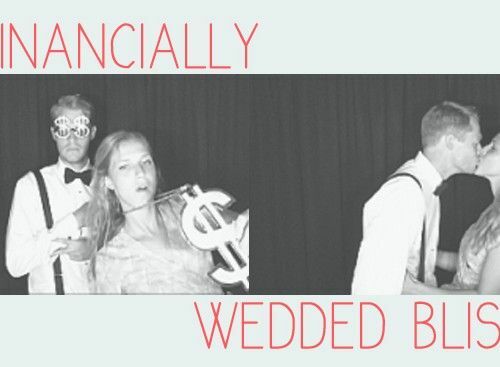 We view marriage as being a team and thus handle our finances accordingly. We each get our own little allowance each month, but it’s funny how we even consult each other on how that’ll be spent too. We consult each other, too! I’ve mentioned in other comments, but we’re hoping for a little more personal discretionary spending independence from each other. It’s not really “personal” if we’re always critiquing the others’ purchases. I believe money is the source of most tensions, fights and divorces, and communicating about money openly can do wonders for a couple. But I prefer separate finances, as I have seen too many nasty divorces. Just yesterday on Len Penzo there was a girl who married a guy, put everything she had in both names and he left her a month later. No, thanks. I currently split living expenses in half an use a joint account for that, all the rest is separate and I don’t think I’d change if I got married. It’s becoming more and more commonplace to start marriages with prenups now to avoid exactly the types of situations like the one you mentioned. The most important thing is that all sides feel fairly treated, trusted, and protected. Joint banking does that for us. Our finances are 100% combined. I don’t understand keeping seperate accounts personally. Everything is combined. Everything is transparent. We share children, a home, and everything else. Why wouldn’t we share our money? “We share children, a home, and everything else. Why wouldn’t we share our money?” Spot on. If I’m willing to share my 2% milk when her fat-free, watery junk runs out, then sharing our money is easy peasy. Our finances are 100% combined. It has been harder than if we had just kept separate accounts, but at the same time it has spurred discussions that are good to have. We do the combined finances because we also believe it should be 100% a team effort. Go team, go! Like you mentioned, I think joint accounts are a lot harder in many ways. But after getting used to the concept and settling your financial differences in the first few years, it’s awesome to be completely on the same page. My wife and I have separate accounts, however, we do the spending the exact same way you guys do. We found out the hard way, unfortunately, that with separate accounts doing our own thing/spending got us into more debt than we realized! So we combine all of our money together and filter out to pay the bills, extra spending, savings, etc. from there. Essentially, a joint account would have worked better. BUT we’re 3-4 weeks away from being debt free. Woot! Woot! Lesson learned. Woot woot is right!! Congrats! If separate accounts have gotten you to that point, no point in changing it now. This is always a tough debate as there are pros and cons with either method, and there isn’t a one size fits all solution. For some couples, it works to have separate accounts while for others the joint account method is better. We have joint accounts (mostly due to my initial insistence to have it easier to track and make overall finances quite a bit easier), but it can be difficult to get used to. My wife has always been independent and done a great job of managing her own finances, so merging them was not without some initial struggle. While our list of positives for having a joint account far exceed the negatives, the main drawback is it can make it a little difficult to do surprise gifts. What usually happens if I’m doing a surprise gift is I plan way ahead to have a detailed checklist of exactly what all needs to happen and get purchased, and then I make the purchase the day of or day before. Joint accounts improves communication and cohesiveness as a couple as you communicate more regularly and don’t have expenses you are ‘hidding’ from the other. There are some serious trust and maturity issues in trying to hide expenses or habits from your loved one, and separate accounts often furthers those habits. Managing your finances is a two person job, and it works far better when both people are on the same page! Definitely echo what you said. Especially the trouble with buying gifts. We usually alert the other about not looking at our Mint or Amazon.com for a couple days until the gift has been given. It’s a pretty terrible system, so we need to figure something else out. We use joint accounts as well. Although I can see where some couples would benefit from separate accounts. The unfortunate fact is not all couples are as fortunate as you two and on the same page financially. I’m sure you’ve read the startling statistic on how many marriages end in divorce because of finances. I was lucky enough to find someone who understood personal finance the same way I did. We have our typical expenses then a lot for a personal spending cushion within our account for both of us. It’s a total shame that finances can have that level of influence in overriding all the other wonderful reasons people got together in the first place. Joanna and I learned to adapt and compromise with our personal finances. There have been bumps in the road, but we’ve steamrolled out most of those suckers after a few years. Our finances (and debt!) is 100% joint. I like the transparency and the way we see it we work equally as hard for our household so monies get combined regardless of ‘who makes more’. It’s just easier for us. Separate finances are a recipe for disaster in my opinion. I know a few couples that have made separate finances work. I don’t think I’m smart enough to figure out the logistics of it. But we’ve loved throwing all of our money in the same pot. We literally have a big pot that we store all of our money in. That’s not true, but it doesn’t seem like a half bad idea. We also have a joint account however I disagree with the shared sentiment that separate accounts are a recipe for disaster. If both people are on the same page with money it will all be fine. And the opposite is true, even with a joint account, if one is a saver and financially responsible and the other is a spender and careless about money, then there will be issues. “If both people are on the same page with money it will all be fine.” BINGO. It doesn’t really matter where the money is being held. If you don’t agree on a budget and financial goals, it’s all for naught anyway. We also married young so pooling our resources made sense. He was a couple of years into his first job and I was still finishing my degree and working PT. Keeping separate accounts and trying to negotiate who paid for what or what percentage we each covered would have been ridiculous. It took all our money just to keep everything on the rails. Nearly 30 years later we still have only a joint account. We each have one credit card with the other as a secondary card holder. If I had married later in life after managing my own finances, perhaps I’d have wondered if separate was the way to go. It seemed that all of the couples we knew who married in their late 20s or 30s kept everything separate. I personally don’t get the need for separate accounts and don’t want the extra work of reconciling two of everything. If you are spending on anything (other than a gift) that you don’t want your spouse to know about there’s a problem. If you are spending so much that you don’t want them to know, there’s a problem. Either you are on the same page with your financial goals or you aren’t. Yes I want to have children with you and grow old together, but it’s none of your business what I spent at the mall. Really? Imagine this scenario: a couple keep separate accounts and contribute to a joint account to cover all the household bills etc. They each agree to save 15% of their salaries for retirement. (Since that’s done outside the joint account they just go on faith that the other is actually doing that, but that’s another story). They figure after the bills and the 15% retirement savings are covered, then everything else they earn is theirs to spend any way they like. Spouse A puts most of the excess into additional retirement savings and Spouse B lives for the moment (hobbies, clothes, lunches out at work, etc etc). Fast forward a couple of decades. Spouse A retires at 55 and heads out to travel the world, while spouse B keeps working until 65. Nice. Or what if they both do only the 15% their whole working lives, but because one makes more than the other, or one is a better investor they wind up with very different retirement account balances. So one retires on a beach while the other lives on mac and cheese? Then what? The weathy retiree “loans” money to poor retiree? Either you are in this together or you aren’t. Unless you are planning entirely independent and different futures, the financial situation of one always impacts the other. Why keep your finances separate and then have to negotiate ways to rebalance so that you can afford to travel together, retire together, etc. When you go out does the spouse with the lower income have to order a cheaper meal, or pay only 40% of the bill? It gives me a headache thinking about trying to keep track so everything stays separate. My mother was widowed in her 50s and remaried in her 60s. They both agreed that their inheritances would be going to their adult children rather than to each other. They split everything 50/50. His finances were more modest than hers so when they bought a home they chose based on what he could afford. In the case of older adults with significant networth I think it does make sense to keep things separate especially if you intend to leave your estate to your kids. It’s much more complicated to divide things up if everything has been blended. I can understand the points of why some couples choose to go this route, but like you said, it seems like an unnecessary headache. We love the simplicity of sharing everything. so greatful to find this post full of like minded people! 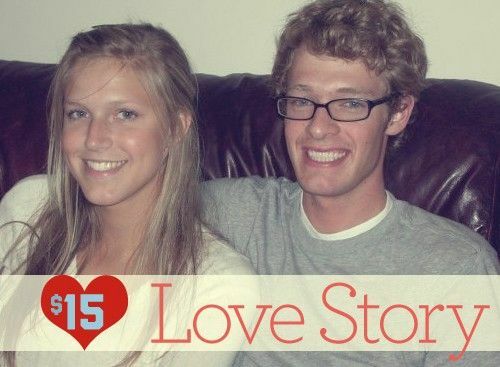 I’ve been with my husband since I was 16 . I think it was around when we were 19 we got a joint bank account(we were engaged) got married a little over a year later and closed all other bank accounts. we will celebrate our 5 th anniversary later this year and have always had a joint account, it’s all our money. My husband came home from work about a month ago and told me about an almost married couple . ( the guy was a new hire) the man paid for everything out of his accounts and just let her keep her money to do whatever . this conversation ended with both of us shaking our heads in confussion. I told him that maybe we were old fashion. In the end it’s whatever works best for you. Me and my husband never fight about money and we talk about it openly all the time. I am related to people who constantly fight about money, hide it and have secret credit cards, say ‘it’s my money!’ but doesnt want his wife to work and is fusterated that they can’t reach their saving goals. now your thinking money isn’t their only problem and your right. I just feel personally that money shouldn’t be something to fight about and when your not fighting you have a lot more time for loving each other. Well stated. We feel fortunate that we stumbled into joint banking and didn’t realize there was even an alternative. It definitely works for us.